Our waterproof dry bag is made with ripstop polyester and has a PVC backing. Also includes a roll top closure with clip for snapping onto belts or other bags. 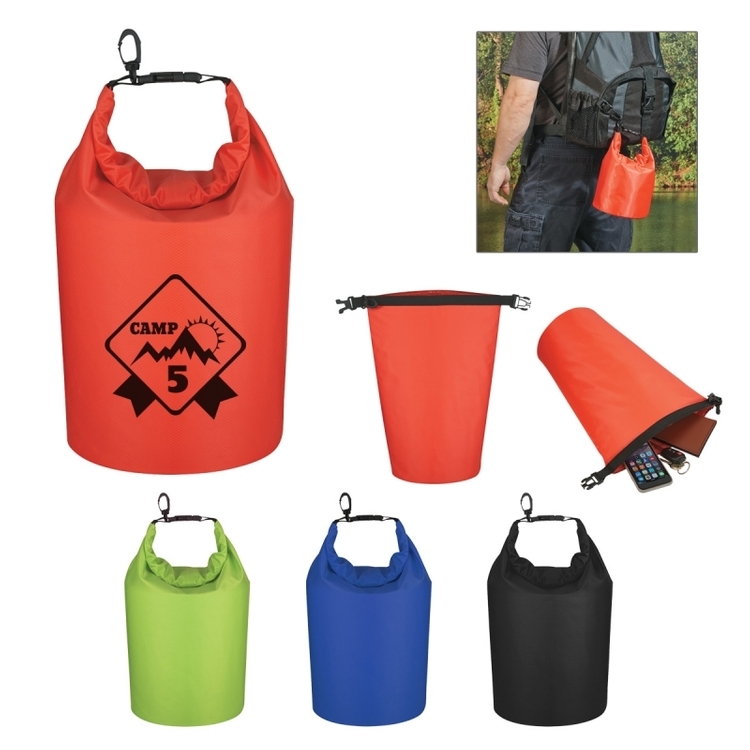 This 5 liter bag floats if dropped in the water and is perfect for keeping contents dry and safe. They are also spot clean/air dry.